Let’s set the scene: we had just finished breakfast after fully enjoying the treat that are the breakfast potatoes of the St. Iakovos Retreat Center. We settle down in in our seats, and we are suddenly attending a gospel concert starring none other than the wonderful Fr. Barnabas Powell. 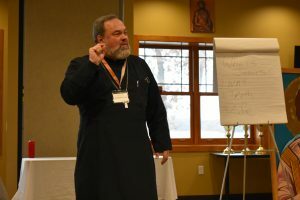 Fr Powell began to sing loudly in front of the whole conference, and to play along I exclaimed a loud and faithful, “TESTIFY,” which was followed by uproarious laughter. Let this conference begin I thought to myself. What followed was the stunned silence of a room of people doubting the knowledge of their own identity and the identity of Jesus Christ. This statement set the tone and topic for the conference, “Who do you say that I am?” from the Gospel of Matthew. 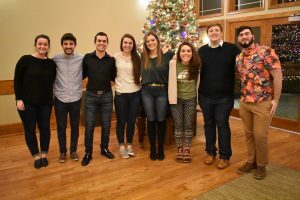 As a group, we collectively gathered our scuba gear knowing fully well that at this conference we were diving DEEP into our identity and the identity of Christ. You may ask, what do we mean when we say God, and what is the identity of Jesus Christ? We as Orthodox understand God as the uncreated Being, the Creator of all, who reveals Himself as three persons in the Holy Trinity in full and complete communion, as inseparable as the fire of three candles sharing a flame. “I am the way, the truth, and the life, no one comes to the Father except through me” (John 14:6). Therefore, we know that Christ is the way, the truth, and the life. Now what does this have to do with our own identity? 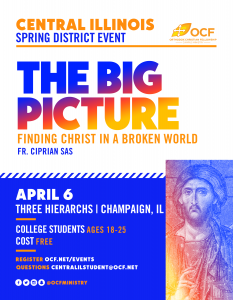 In order for us to fully know ourselves and fully comprehend our identity, we have to begin to understand that Christ is the truth of life, its purpose, and its instiller of purpose concurrently. Christ is our nexus and the face, the icon by which we can know God, who lived and breathed on earth as we do, the infinity who became finite for us. But why should we even care about knowing Christ and knowing ourselves? It’s because we’re diseased–sorry guys but it had to be said. We live in a fallen world and a fallen state, and the difference between knowing God and not knowing Him is the difference between wholeness and emptiness. Every time we are longing for home, we are hungry, we are thirsty, we cause pain, and feel pain we understand this emptiness and feel our tangible distance from God. How do we begin to know God? Fr. Jannakos helped us answer that question. He taught us that we begin to know Him by imitating Him, by learning to tame the passions and working to attain the virtues of the Holy Spirit. This is the way of the Orthodox, becoming LIKE Christ in His perfect and sinless self. But how can we take this lofty theology and bring it down to the nitty gritty of the everyday life of a college student? To that, we turn to the expertise of Mother Gabriella, the abbess of Holy Dormition Monastery in Michigan. Wake up exactly when your alarm clock sounds. Get to church earlier (1/2 way during matins). It shows respect and devotion to God. Take a few moments every day to be quiet. Clean up and put your things where they belong. Ultimately, these tips can help you with the discipline needed to resist temptation. The most important thing in struggle is to never struggle alone–struggle with God because alone you cannot do it. Lastly, the piece of advice that can be applied to be a better human being is to just let things go. Forgive people. You never know what they are going through on the inside. Anger is the punishment we give ourselves for someone else’s mistake. Let. It. Go. 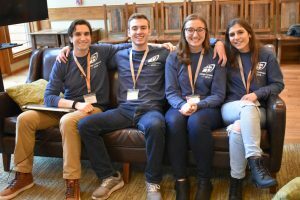 College Conference Midwest 2019 was a blast. I got to meet a group of new people, and really get to know what they are thinking about and going through on college campuses. I got to catch up with old friends and have new adventures. College Conference is the place where you can learn and be strengthened in your faith and learn how to better yourself spiritually. This last conference, Fr. 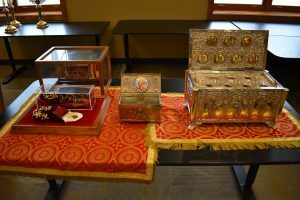 Jonathan Bannon was able to bring an array of relics and I was able to physically meet a new slew of saints at this conference. So not only did I make more friends but spiritual ones as well. I urge you all to continue participating if you have and encourage those who haven’t just come and try it. Let your guard down, open your mind, and learn at College Conference.